It’s time to break out the moves... and we’ve got the ultimate romantic gift to get things moving and shaking. The Dancing Tanzanite Pendant celebrates your special someone with a gemstone so rare it’s only found one place on earth. No need to go to Mount Kilimanjaro, we’ve secured this ethereal blue-violet beauty from Tanzania for you. Suspended in the center of stylized infinity setting, a disc of tanzanite dances with her every move, twirling and catching light. For extra sparkle we’ve added scientifically-created DiamondAura®–– the conflict-free alternative that dances circles around mined diamonds when it comes to fire, clarity and price. 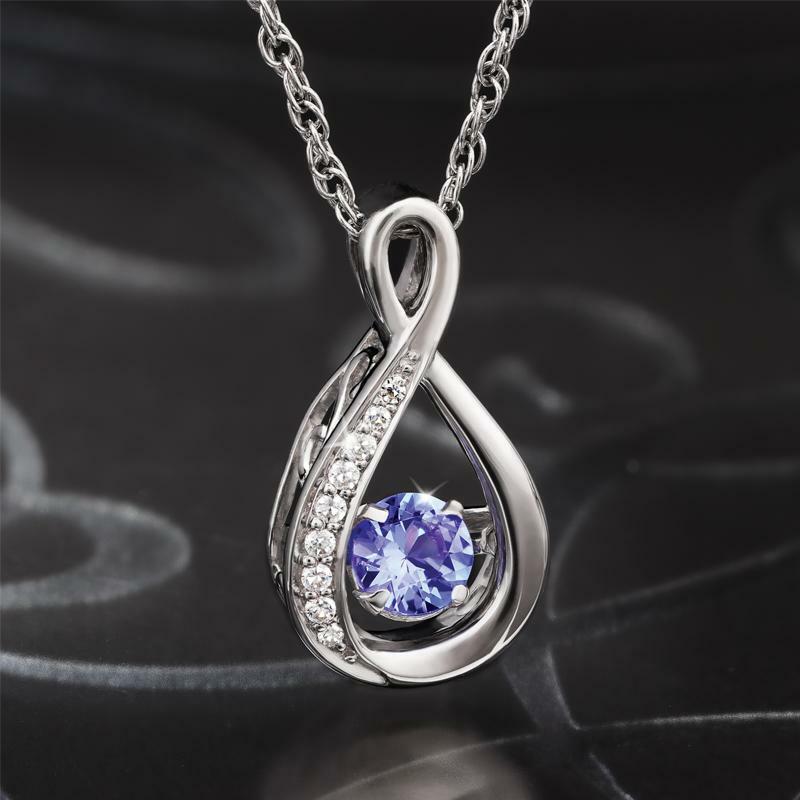 Surprise her with the Dancing Tanzanite Pendant and sweep her right off her feet into your arms.